Running in Columbus, Ohio. Best routes and places to run. Capital of the U.S. state of Ohio, Columbus is the 15th largest city in the United States. The city has a diverse economy and gets good ratings for its livability and business climate. 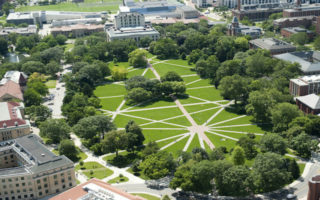 It is also home to The Ohio State University, which is one of the largest in the country. 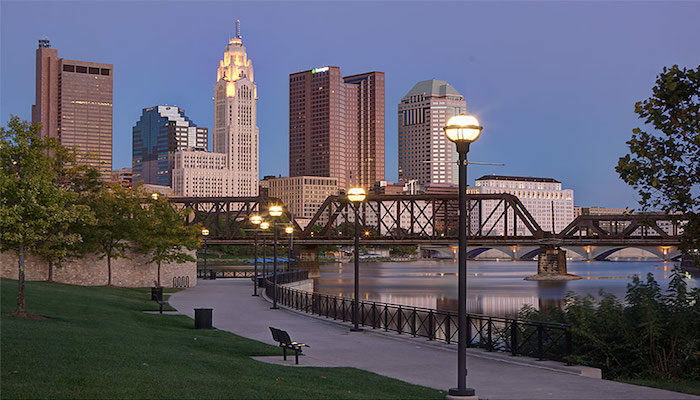 The geography of Columbus is defined by the confluence of the Scioto and Olentangy rivers just north-west of downtown, and several smaller tributaries that run through the Columbus metropolitan area including Alum Creek, Big Walnut creek, and Darby Creek. This is a guide to the best places to run in Columbus, Ohio. There’s a good running scene in Columbus. 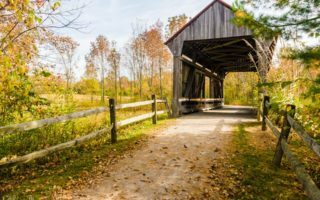 The highlights are the paths along the Scioto River, the 13-mile Olentangy Trail, and several parks. Public transport in Columbus mainly consists of a bus system, run by COTA, the Central Ohio Transport Authority. Also, CBUS is a FREE downtown Columbus circulator running every 10-15 minutes from the Short North Arts District to the Brewery District. A very popular route among runners in Columbus. 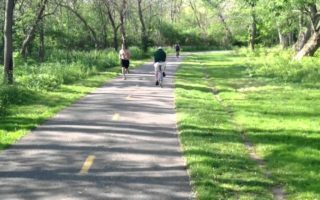 The trail runs east-west along the Scioto River, serving as the spine of the famous Scioto Mile, a string of prominent parks, civic landmarks, and promenades. 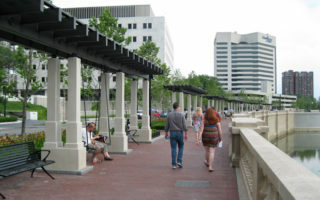 Stretching along the downtown Columbus Riverfront from the Arena District to the Whittier Peninsula, the Scioto Mile is the city’s premier downtown destination. One of the most popular bike paths in all of Ohio, the Olentangy Trail is located just west of North Bank in downtown Columbus. The trail spans a grand total of 13 miles north, and runs by Ohio State’s campus. A 22-mile trail along one of the city's most scenic river corridors, from Three Creeks Park to Westerville. Most of it is paved, but some sections are unpaved and a little more challenging/technical. Many parks and trail heads along the way. 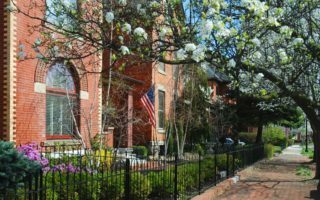 Historic area just south of downtown, with Italianate architecture, brick sidewalks, and alleys. Lovely Schiller Park is at the center. Nice place for a run, do it leisurely and randomly, rather than proscribed route. Combine with downtown run! Third largest university campus in the country. Miles of wonderful paths for running, with classic red brick buildings. Central and Southern Oval are large grassy areas. 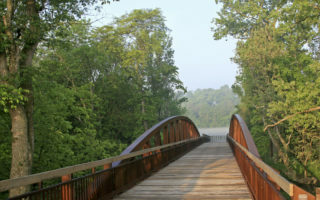 Olentangy River Trail runs through the campus. Leafy, pleasant, adjacent streets. 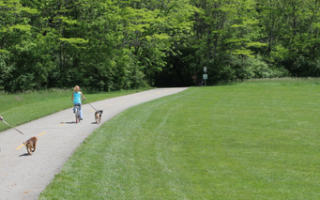 Stretching almost 13 miles, Big Darby Creek Metro Park runs along the Olentangy River and features more than 7,000 acres of forest, prairies, and wetlands. Lots of variety, and especially good for trail running. 18 miles southwest of Columbus. 1150 acre park, 17 miles north of downtown, offering great options for trail running with lots of variety. Most trails are in the northern section of the park. There are some gentler, paved options too. 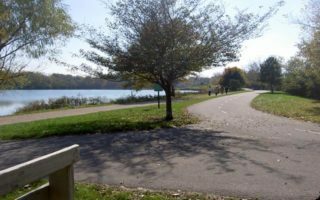 Located 10 miles north of downtown, Antrim Park offers a beautiful 1.2 mile, gravel path around a tranquil lake. A nice option as part of the Olentangy Trail. t, with average July high temperatures of 85F (29C) and warm nights. 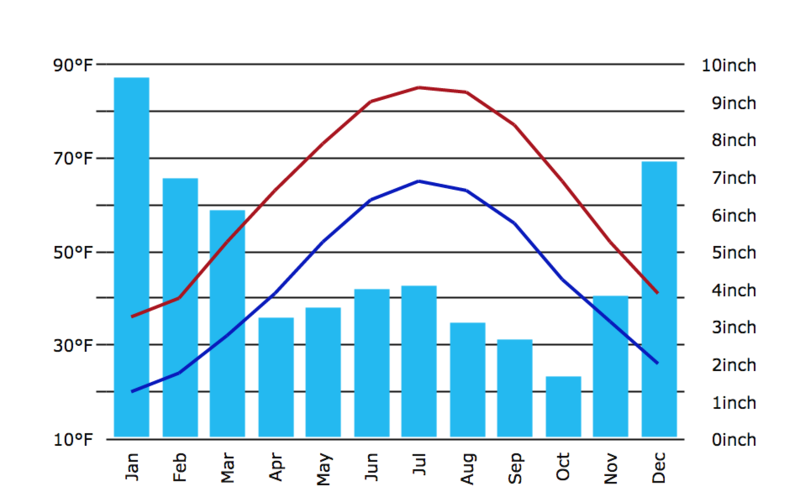 There is more precipitation in winter than summer. Considering Columbus is a popular place for business travelers and vacationers, the city offers a wide variety of hotels. There’s a wide selection of hotels in the central downtown area, east of the Scioto River, and inside I-71 and I-670 that circle the city. Any one of these downtown hotels are within a mile of the river and other good running areas. Front Runner – Fun runs Thursday nights at 6:30 pm. Leaves from store location. Fleet Feet Sports Columbus – Frequent running clinics available. Click here for dates and details. Speedy Sneakers – Various races throughout the year. Click here for dates and details. Area Running Calendar #1 Courtesy of Speedy Sneakers. Area Running Calendar #2. Courtesy of Columbus Running Company. Lady Tutu 5k and Little Princess Dash – April. Register here. Run to Erase Epilepsy – April. Register here. Arnold 5k Pump and Run – March. Pi Day 5k – March. Nationwide Children’s Hospital Half and Full Marathon. October. Goes through Germantown and Schiller Park.